Well, I finally bit the bullet. I bit the bullet and bought some whole vanilla beans. I never thought that I was the sort of persnickety foodie who would do that, but there it is. It made this recipe for vanilla ice cream so delicious! Now I am a convert. All hail the vanilla bean! I used a vanilla bean in today’s recipe: Low Carb Keto No Churn Vanilla Ice Cream. The recipe is based on this great low carb no churn vanilla ice cream that Paola at gnom-gnom makes. 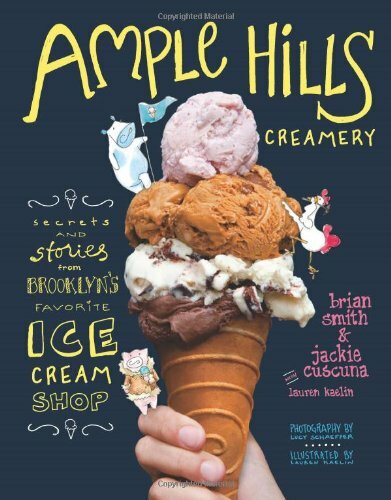 But I threw in some tricks from the Ample Hills Creamery ice cream cookbook too. They infuse their ice cream custard with vanilla beans and coffee beans. This gives the ice cream a more complex flavor. You’ll taste something familiar that you can’t quite put your finger on. Ok, I must be off now. There’s a scoop of vanilla ice with my name on it. 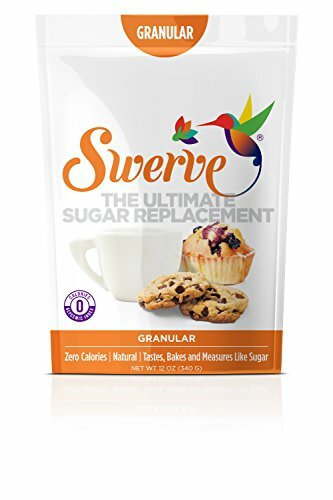 This low carb no churn vanilla ice cream is a sweet frozen treat with only 3g net carbs per scoop. 1. Add coconut milk, sweetener and salt to a medium sized sauce pan. Slice open the vanilla bean and scrape the seeds into the pan. (If you are not using a vanilla bean, then add in 2 extra teaspoons of vanilla at the end of the recipe.) Add the rest of the vanilla bean and the coffee beans to the pan. Cook over medium heat until just simmering. Lower the heat to low and simmer for 15 minutes until the liquid is infused with flavor. Stir occasionally. 2. Strain the liquid through a sieve. Return to the pan and bring to a low simmer. 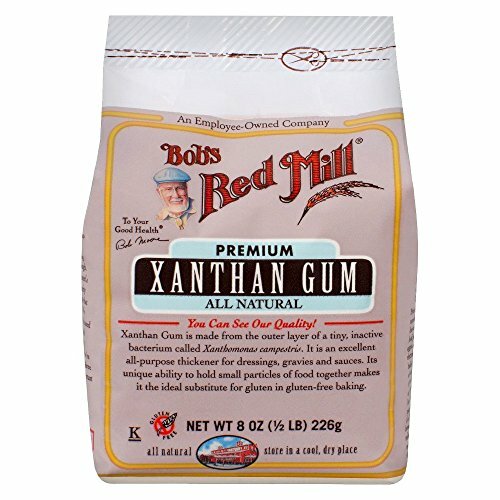 Sprinkle xanthan gum over the liquid and whisk to combine. Remove from the pan and add to a medium sized heatproof bowl. If there are any lumps, you can remove them with an immersion or regular blender. 3. Make an ice bath in your kitchen sink to cool down the custard quickly. Fill the sink a quarter of the way with cold water and add several handfuls of ice. Gently lower the bowl of custard into the ice bath. Let cool for 15-20 minutes, stirring occasionally. Cover the custard with plastic wrap that is placed directly on the surface of the liquid. Chill in the refrigerator for 1-2 hours until completely cooled. 4. In a large chilled bowl, whip the cream with an electric mixer until soft peaks form. Whip in vanilla extract and cooled custard. If you want to add bourbon to the recipe, do it now. (But not more than 2 tablespoons or it will become slushy.) The mixture should be thick but pourable. If it is too thick, then add some more coconut milk until it is pourable. 5. Pour the ice cream into a resealable container and freeze for 4-6 hours until hardened. 6. Allow to sit on the counter for 10-20 minutes to soften before scooping. *Bourbon keeps ice cream from getting icy because alcohol doesn’t freeze. It will keep the ice cream creamier. This addition is very optional though. If you liked this ice cream, then you might like my recipes for Butter Pecan, Coffee and Brown Sugar and Cinnamon Ice Cream. 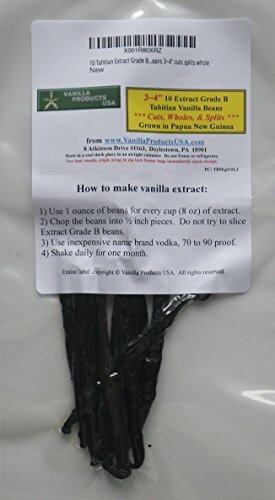 I’ve been using vanilla beans for years. It makes it taste so much better! It really does. I am a convert.